Take Charge of Your Own City Tour! 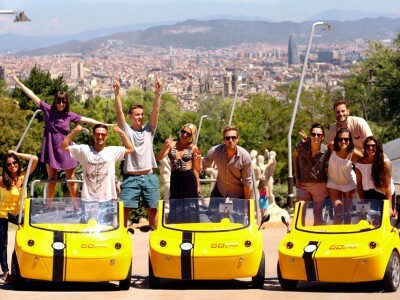 A GoCar city tour is an awesome new way to explore the city your own way on your stag do in Barcelona! Basically, these little yellow cars give you the power to explore the way you like! You and the lads will be given one for every two people, which you can use to cruise around the city at your own pace: see some famous sights and stop off for a refreshing snack or delicious tapas, then hop back in and see something else!